A reminder to not play with bootleg fireworks, kids! With awesome subtitles. Sound required. NSFW because swearing. The Slow Mo Guys took precautions by wetting down the grass beforehand. 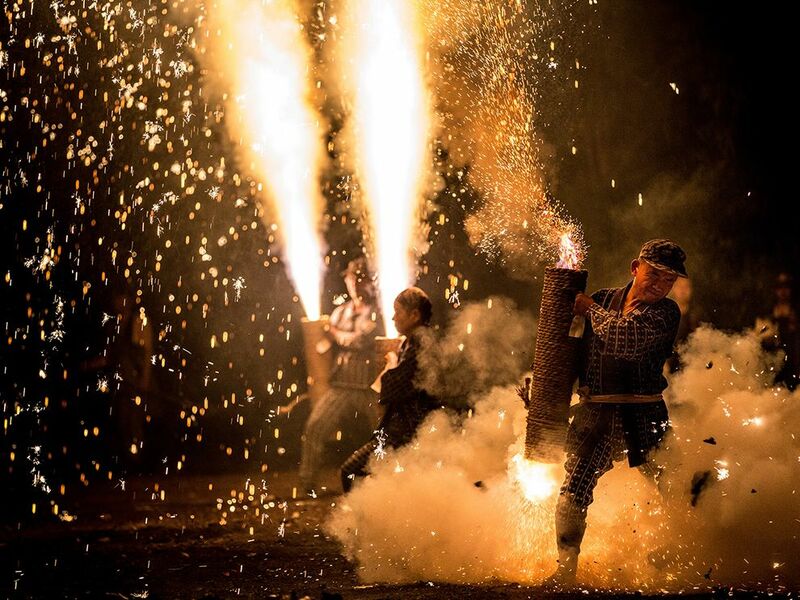 Pistol fireworks for the Gion Matsuri Festival at the Yoshida Shrine in Toyohashi City, Japan, by photographer Hidenobu Suzuki. Ever wonder what fireworks look like up close? Watch as a drone flies through a show and returns unharmed. 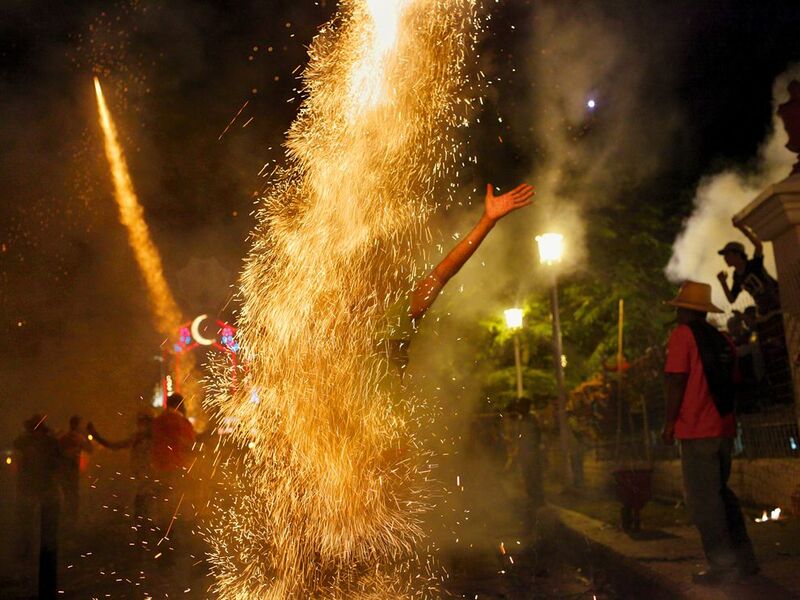 National Geographic photo of Parrandas festival fireworks in Cuba by photographer Paolo Pellegrin.